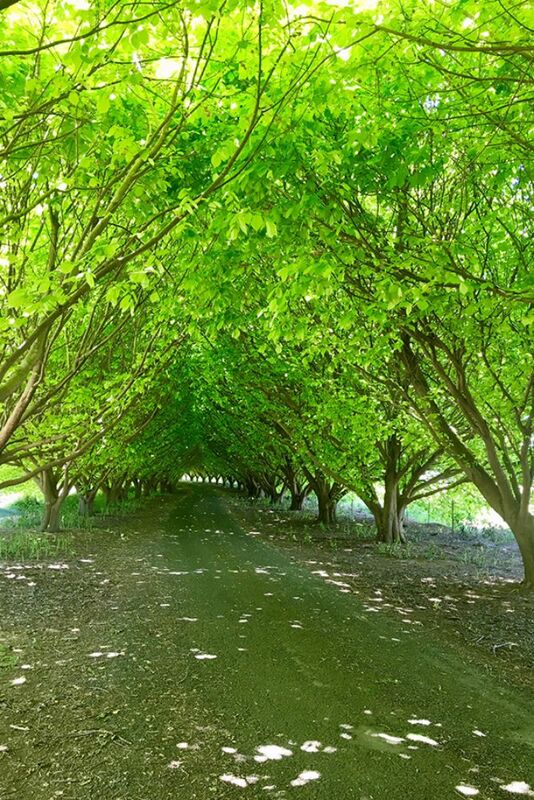 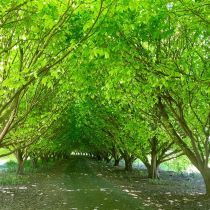 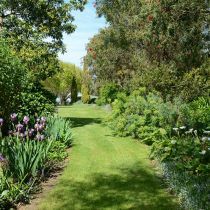 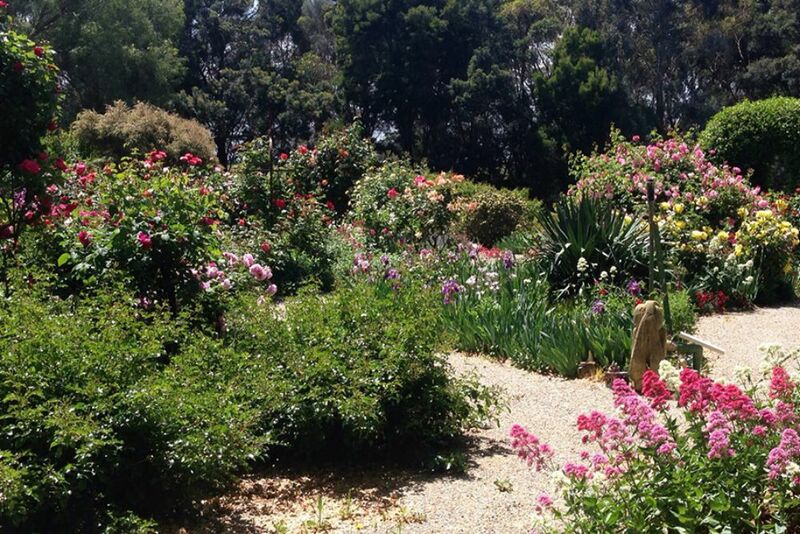 The garden at Cloverdale has transformed considerably over the past 35 years since the owners purchased the farming property on the outskirts of Werribee. 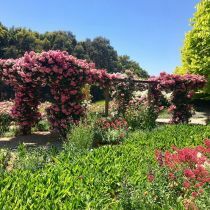 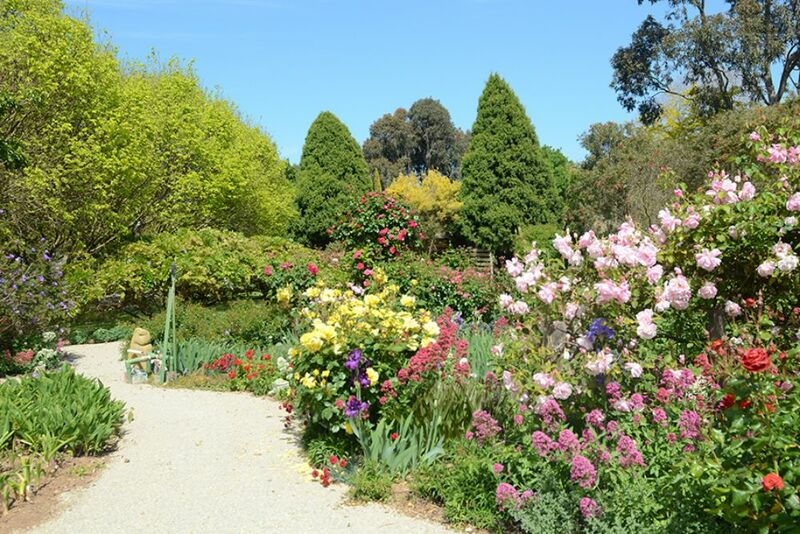 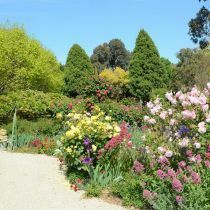 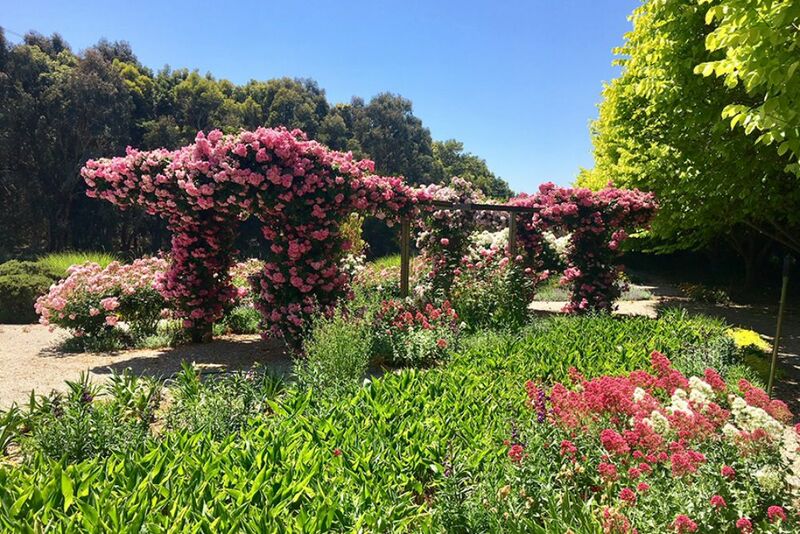 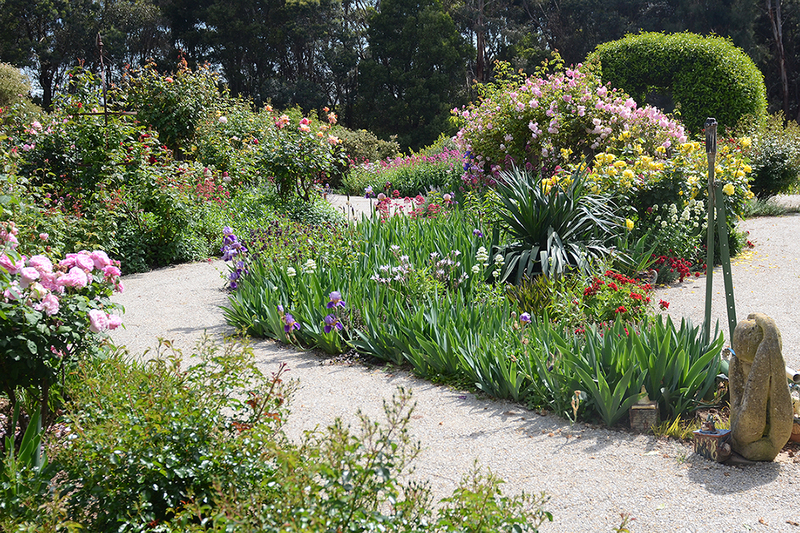 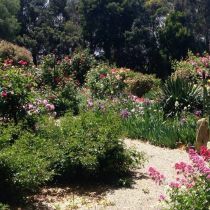 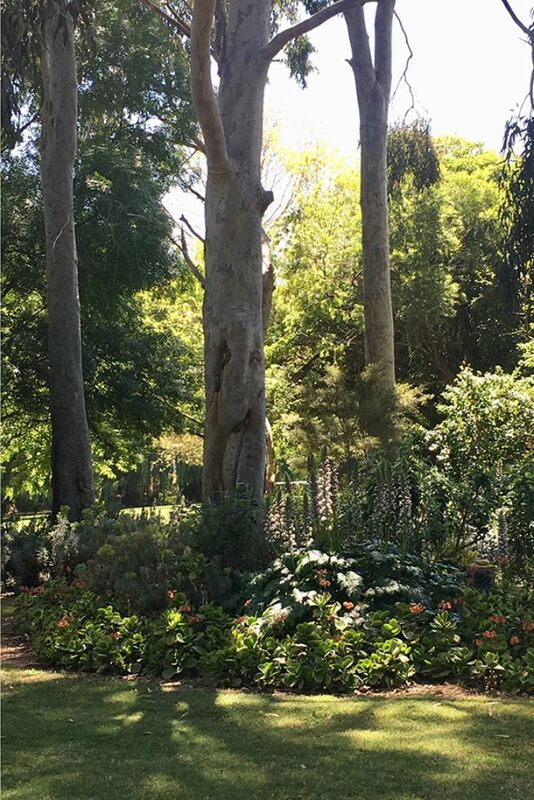 What was once a bare paddock with two 400+ year old Red Gums now hosts many varieties of roses, wisteria and rose-trained arbors, sedums, frangipanis and irises. 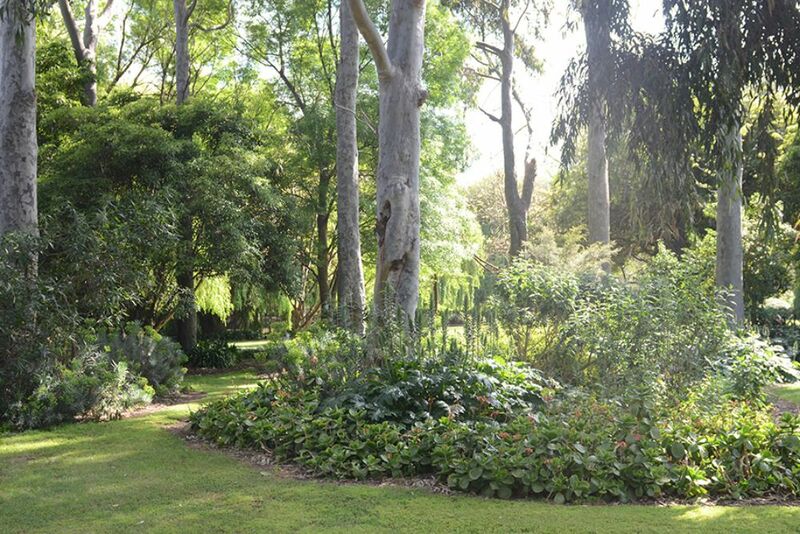 Weeping Willows are dotted along the banks of Lollypop Creek which runs through the property. 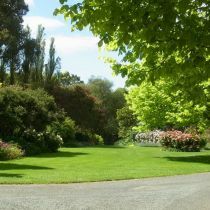 The long driveway is lined with an impressive avenue of Golden Elms underplanted with spring bulbs, and a native ‘forest walk’ has been created on the adjacent side of the creek linking the garden with the driveway entrance. 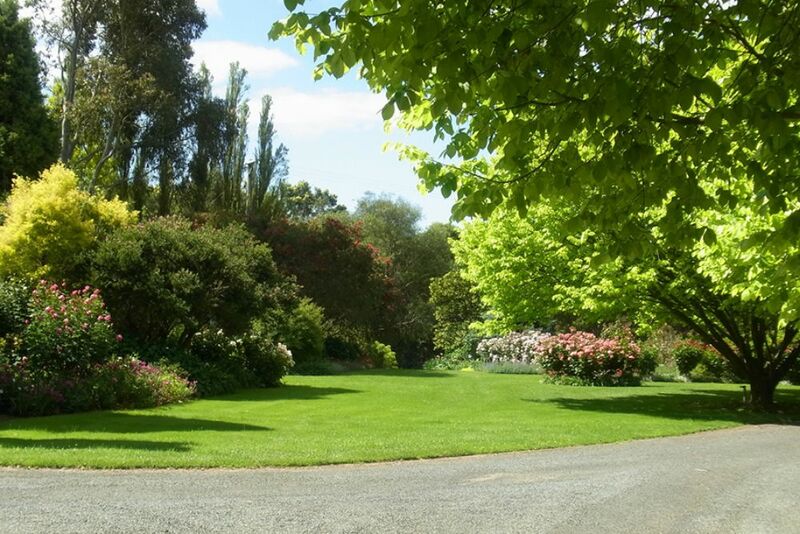 This provides a lovely circuit walk around the property. 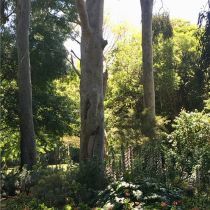 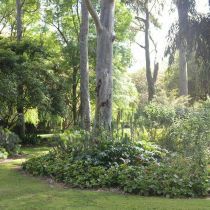 The creek and forest also create a safe haven for many native birds in the area, which can be observed throughout the garden. 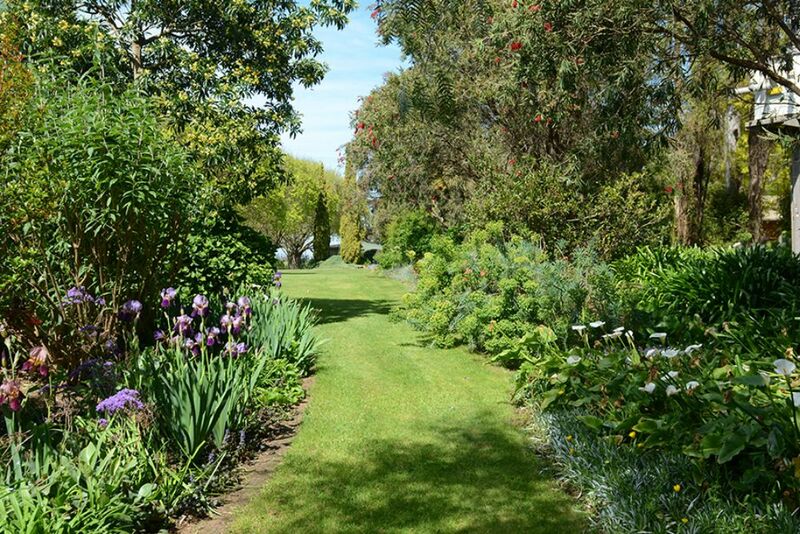 The garden also hosts a vegetable patch, chickens and a small orchard.